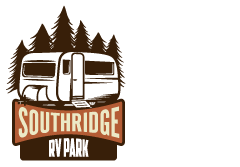 Southridge RV now has two RV park locations in West Texas. The Ozona RV Park opened during the fall of 2012, and the Big Spring RV Park opened in the Spring of 2013. Space is limited in Big Spring while we upgrade areas of the park. The Ozona Park has several mobile homes on site. If you would like to rent a mobile home at our Big Spring Park, give us a call or click here. Please check out each location on the site for more information and a list of features including 50 and 30 Amp Service at all RV Spots, Free Wireless Internet, HD Cable TV, Large spaces and 18 wheeler parking, Laundry Facilities and a whole lot more! Check back soon as we add locations across Texas. We accept Visa, Mastercard, Discover card, cash, and checks. Group rates are available for groups of 4 or more. Please call today for group rates! If you are traveling in South Texas in the Eagle Ford area, check out the Eagles Den Suites extended stay lodging. Located among the brush lands of south central Texas, this unique style of residential living provides the amenities the extended stay visitor expects. The Eagle Ford Shale, which runs from Laredo in south Texas toward LaGrange, is one of the key oil and gas discoveries outside of Alaska. Experts consider it among the biggest finds in the last forty years. With facilities in Carrizo Springs, Cotulla, Kenedy, and Three Rivers, Eagle’s Den meets you where you need to be! Whether you’re visiting or staying long term, call 877-678-6086 or email us today to reserve your place at Eagle’s Den Suites. The premier lodging option along the Eagle Ford Shale.